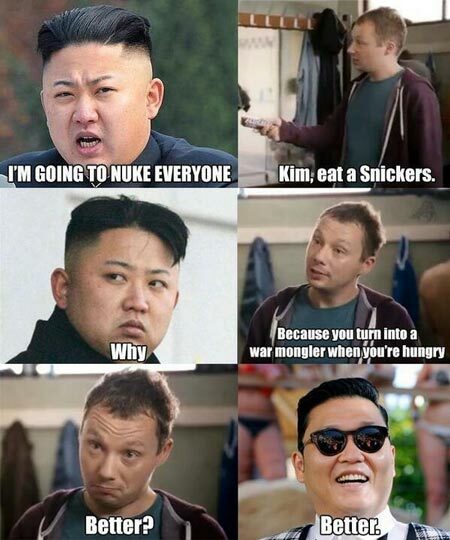 Kim Jong-un: I’m going to nuke everyone. Because you turn into a war mongler when you’re hungry. Created about 6 yrs, 15 days ago (April 7, 2013). Updated about 6 yrs, 15 days ago (April 7, 2013).